Tutka Bay Lodge sits at the entrance to a splendidly rugged seven-mile fjord at the southern end of Kachemak Bay, near Homer. The Tutka Bay area offers rugged coastlines, deep fjords, dramatic mountains, quiet beaches, old growth Sitka spruce forests, and amazing tidal fluctuations. 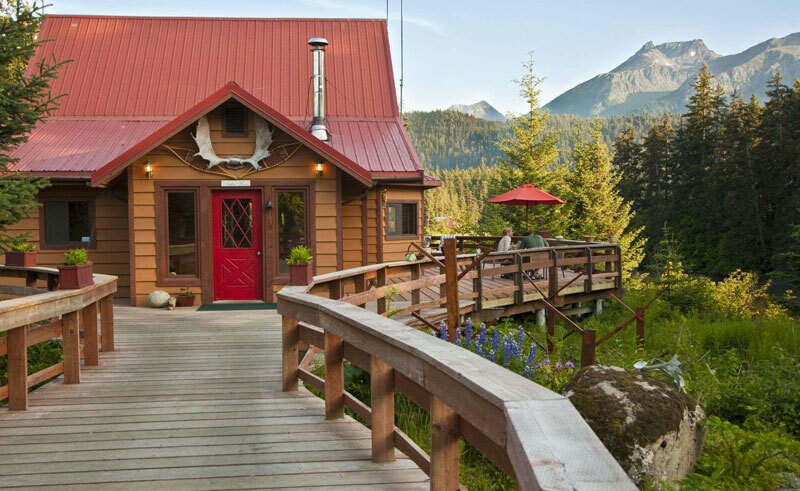 Situated on an eleven-acre property, Tutka Bay Lodge offers a main lodge, six private guest accommodations, a sauna, hot tub and boat house – all connected by a boardwalk. The large deck offers seating as well as an area for helicopter landings. Tutka Bay Lodge offers guided adventure activities such as deep-sea fishing for salmon and halibut, freshwater fishing, ocean kayaking and hiking the unique trail system. Award-winning cuisine and lodge amenities such as complimentary massage and yoga, afternoon wine tastings and cooking classes offer relaxation and rejuvenation. The lodge offers an array of activities to introduce you to the Kachemak Bay marine community. In addition to tidepooling and other marine-based activities, guests can often visit the nearby villages of Seldovia and Homer for art galleries and cultural exploration. We are delighted to announce that National Geographic Unique Lodges of the World has added Tutka Bay Lodge to its prestigious collection of boutique hotels in remarkable destinations around the globe. Tutka is among a small selection Unique Lodges members who have each demonstrated their commitment to authenticity, excellence, and sustainability, while offering outstanding guest experiences that support the protection of cultural and natural heritage.